“I do eat healthy and variated so I do not need any extra vitamins” – “I do not like to take pills” – “I want to get every nutrition out of my food” – “I eat everything from an organic source”. These small statements and many more, are often used as small reasons to not consider the intake of some extra vitamins and/or minerals. However, it is in any case wise to investigate if one really does get all the variation of vitamins and minerals that our body needs. Within this, one can investigate where this reasons are coming from and if they are really based on common sense, or that it is more based on a ‘belief’ about what food and nutrition should contain. An example that is univocal, is the lack of vitamin D that many people are suffering from. Within The western and northern countries of Europe for example, about one out of three person does have a low blood-level of vitamin D. When one look at this within common sense and substantiated through investigations, it is to be found that there is not enough sun in these countries to provide a sufficiënt production of vitamin D and when there is sun, it is often not strong enough to produce enough of the vitamin via the skin. Besides the sun and the colour of one’s skin, the absorbtion of vitamin D is dependent on food – however only a few products provide vitamin D and this is still very low and/or not eaten enough. This small example shows how the amount of nutrition, should within each situation, be based within the consideration of the geographical, biologic, conditional and constitutional influences. 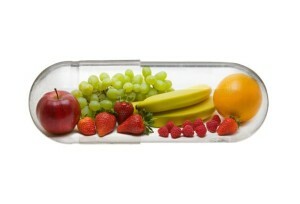 And what role does our own mind-activity actually have on the amount of vitamins and minerals that our body is using? An interesting question that is not yet so much taken into consideration. Within this it will be clear that the role of money, healthcare and the food-industry plays a major part in this development. So, here is enough to investigat, develop and integrate – within ourselves and within the world that we live, to be able to determine what each being could add to their diet to support oneself, one’s body and one’s mind to function within one’s optimum potential.